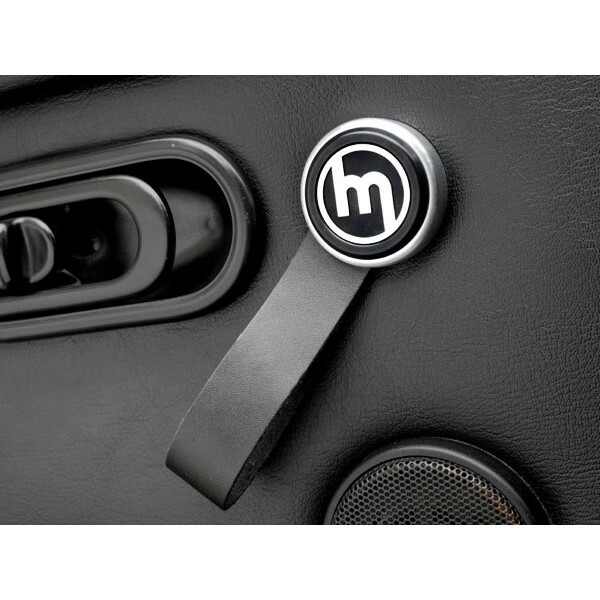 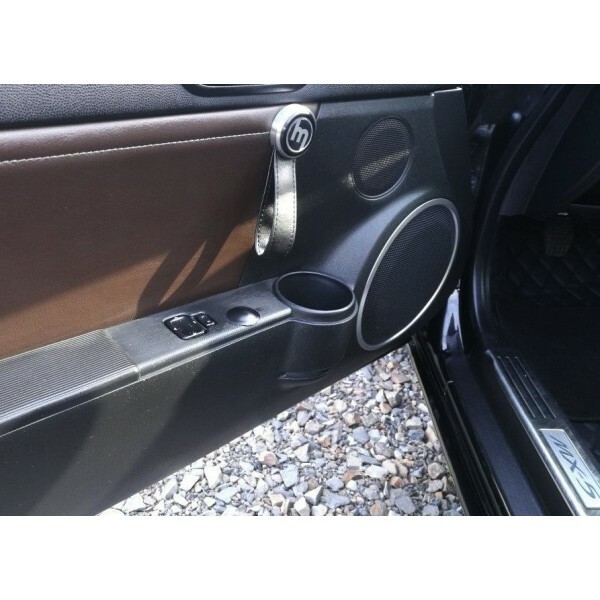 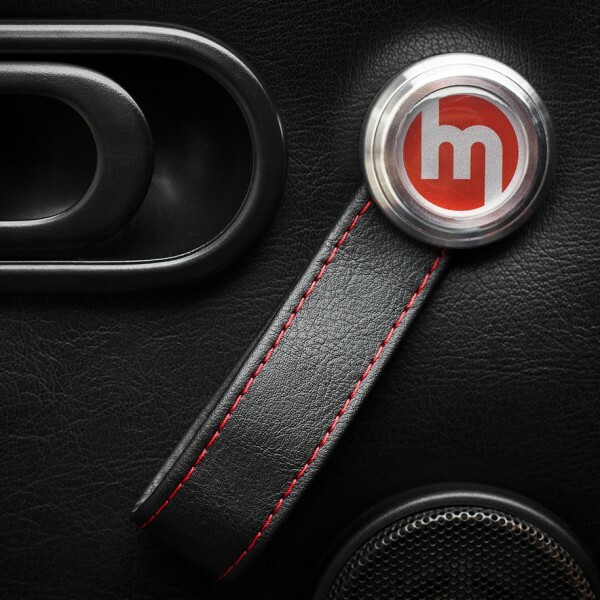 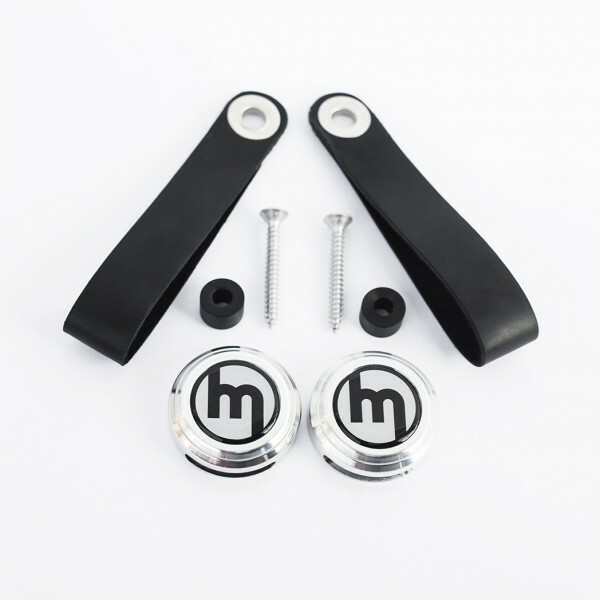 The vintage version of the door pulls features single loop stiched leather design pull held with high quality aluminum CNC machined two piece cap with mirror polished vintage Mazda logo. 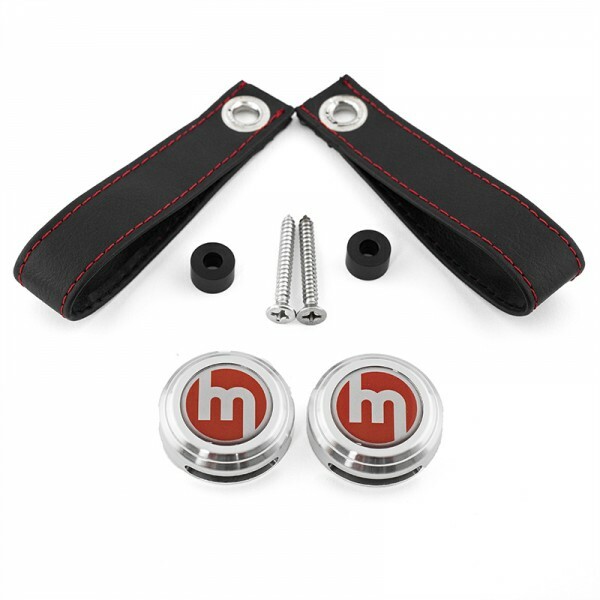 Three versions are available - with silver, black or red upper cap. 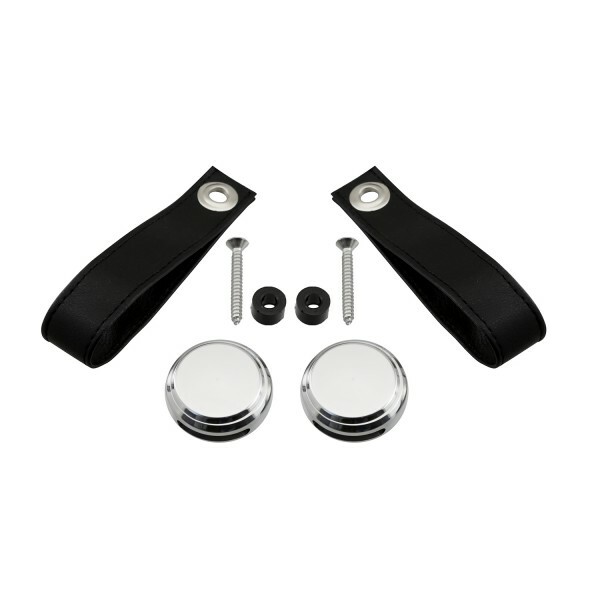 Comes as pair with all necessary fixings.